With Suneng (national college entrance exam) looming large on the horizon, SNU has been witnessing some extraordinary phenomena. Given SNU’s unrivaled reputation as the most prestigious school in the country, many test-takers are eager to gain admittance. This time of year witnesses a number of unique superstitions reflecting the eager test-takers’ desperation to get into their dream school. One example is “Prep for Suneng: SNU white noise compilation,” a video currently going viral on YouTube. White noise is known to be effective for relieving stress and improving concentration, and is recommended by experts for effective studying. This video combines the study benefits of white noise with hopeful test-takers’ SNU aspirations, recording sounds from the Gwanjeong Library, the study lounge and libraries of other departments. The video is nine hours long in total, precisely the time required for completion of the exam, and is divided into sections that exactly match the time allotted for each subject of the actual test. During break periods between each subject, listeners can hear the louder sounds of conversations in group study rooms in the SNU library. 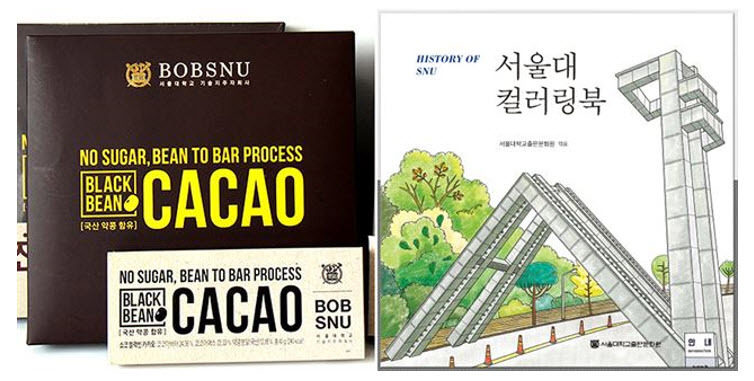 Other items featuring SNU popular among hopeful college entrants include chocolates emblazoned with the school’s logo and coloring books that portray the campus. These items help motivate the 600,000 test-takers preparing for the Suneng exam, striving for their university of choice.